Robert Vadra said he "sincerely" wished Mr Kejriwal the best and hopes "he comes out clean for the sake of the people who believed in him". Arvind Kejriwal has accused Robert Vadra of benefiting from land deals in Haryana. 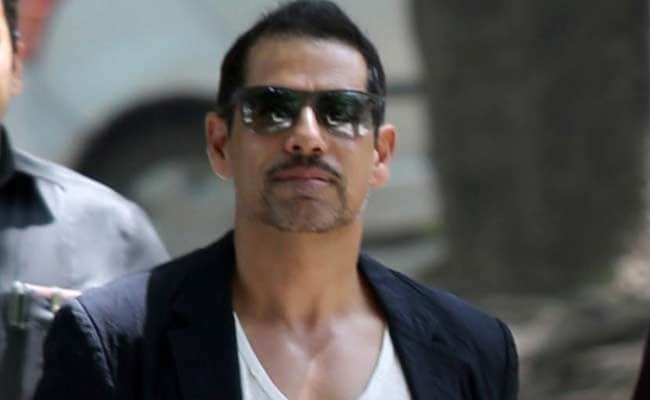 New Delhi: Long before the India Against Corruption spawned the Aam Aadmi Party, Robert Vadra, the son-in-law of Congress president Sonia Gandhi, has been a dartboard for the anti-corruption movement's chief strategist Arvind Kejriwal. The "strange obsession", as the businessman described the frequent attacks on him, continued well after Mr Kejriwal became Delhi's Chief Minister. As Mr Kejriwal battles corruption charges levelled by sacked Delhi minister Kapil Mishra, Mr Vadra weighed in. "What goes around comes around," he said in a Facebook post that noted how people who had hurled "false accusations" at him were facing a "similar plight". "That too from an insider who claims to have substantial proof," he said, reacting to Mr Mishra's allegation that he had seen the Chief Minister take 2 crores from his Law Minister Satyendar Jain for a land deal. The BJP and the Congress have been going hammer and tongs on Mr Mishra's allegations. The Congress says the allegations were serious enough for the Chief Minister to quit. The BJP, on the other hand, wants a thorough probe too. But Mr Vadra said he "sincerely" wished Mr Kejriwal the best and hopes "he comes out clean for the sake of the people who believed in him". "Also for the respect of his immediately family, especially the children, for whom such trials by media, of those they love and look up to are painful and sad," the Facebook post said. Nearly five years ago, Mr Kejriwal was among the first ones to have accused Mr Vadra of benefiting from land deals made in Haryana when the Congress was in power for 10 years. The deals were held up by the BJP during poll campaigns for years as proof of massive corruption on Congress watch. Mr Vadra has consistently rejected the allegations that were inquired into by a commission set up by the Manohar Lal Khattar government in Haryana. Last month, wife Priyanka Gandhi Vadra issued a statement that her finances were separate from those of her husband and his company. Mr Vadra also spoke also about how he too had been on the receiving end of a "political and media campaign to malign me". "Well, I've borne so many false accusations from various politicians, mostly to gain publicity for themselves or divert the public mind from important national issues that I'd like to see how this one plays out," he said. Chief Minister Kejriwal hasn't responded to the charges levelled by his former cabinet colleague in public, fielding his deputy Manish Sisodia or other party seniors to dismiss corruption allegations. The AAP has claimed that Mr Mishra was indulging in mud-slinging at the instance of the BJP. The only comment from Mr Kejriwal came on Monday evening when he tweeted: "Truth will prevail. It will start tomorrow with the special session of Delhi assembly".